With many years experience, we pride ourselves on ensuring your wedding ceremony has the warmth and personal feel that you would want and expect, at this important moment in your lives. It is our role not only to ensure all runs smoothly but importantly that you are both relaxed and can really enjoy your moment. You are going to have a fabulous day! By now everything should be in place to ensure your marriage ceremony will run smoothly. But for comfort you may want to have a quick look at the Checklist. Certificates relating to previous marriages, if applicable. EG. Divorce/ Death Certificate. ALSO, if these documents are not in English you will need to also bring NAATI authorised translation. In addition, if either of you do not speak or understand English you will need to bring an interpreter - this can be anyone as long as they are over 18 and who is fluent in your language and english (and not one of you). Don't forget to take into account; traffic, parking and maybe even getting (a little) lost. If you ceremony is in our Studio as there is no waiting room, please wait outside until your scheduled time. It is also wise to ensure your guest have directions (share the Google Pin with them) and suggest they arrive a little early too. We will be ready for you at your scheduled time - with a big smile. At this stage we will take your original NoIM and sight your other documents (if we haven't already). ID's used at lodgement of NoIM (Passport Or Birth Certificate and Drivers Lic. We'll have prepared all documents, you will need to sign, for you. Before the ceremony you will sign the Declaration of No Legal Impediment To Marriage form and afterward your Certificate of Marriage. Run through how your ceremony will flow. who has the rings (if applicable) etc. *Click below to see a Sample Ceremony. This will give you an idea of the sort of ceremony that will be delivered and the legal things that we and YOU must say. You're able to personalise your ceremony, if you would like to. No need to email it to me - just give me a copy on the day of your ceremony. We will gather your guests and manoeuvre them into position, along with the two of you. Or you may want to walk down the isle together or even arrive separately. We can arrange all of this, for you, on the day. Arriving Separately. If this is the case - not a problem. If one of you is at the designated location at the scheduled time (with all the documents and ID) we can start the paperwork (with only one of you). Then I can then move over to where the other party is (such as wait in the car or around the corner) and finalise the paperwork, before returning to the location ready to start the ceremony - ready for the "grand entrance". This then means you won't spoil the surprise of seeing each other for the "first time". Once you and your guests are ready we will start your ceremony. Our aim is to make your ceremony a very special moment in your lives and your guests too. 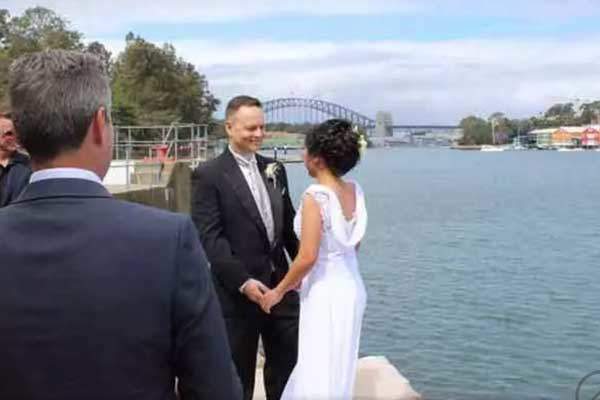 Following your ceremony, we will arrange for you and your two witnesses (they can be anyone as long as they are over 18 years old and speak english, they do not require any ID) to sign your certificates. We'll provide a small table for you to sign on. We will then present you with your Certificate of Marriage. At this stage we are always happy to take a group photos for you. An then it is time to CELEBRATE. 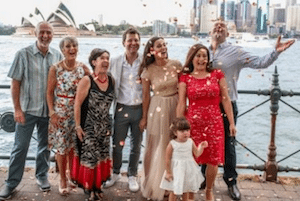 While you are celebrating, we will go back to the office and register your marriage - the same day - online with Births, Deaths and Marriages NSW - the official government record keeper. 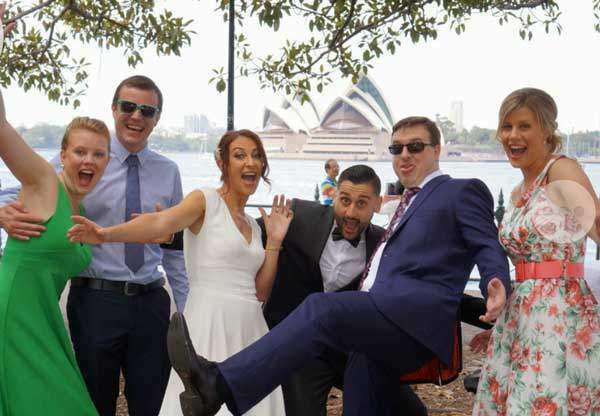 Your registered Marriage Certificate can be ordered on-line or picked up from BDM NSW - the same day OR the next business day. We will be in touch the next day to confirm that your marriage has been registered and all is good. We also love any feed back you can provide, great or otherwise.